look inside Beethoven - Complete Piano Concertos (Schirmer's Library of Musical Classics Vol. 4480 Two Pianos, Four Hands). Composed by Ludwig van Beethoven (1770-1827). Edited by Franz Kullak. For 2 Pianos, 4 Hands. Piano. Softcover. G. Schirmer #ED4480. Published by G. Schirmer (HL.50490351). 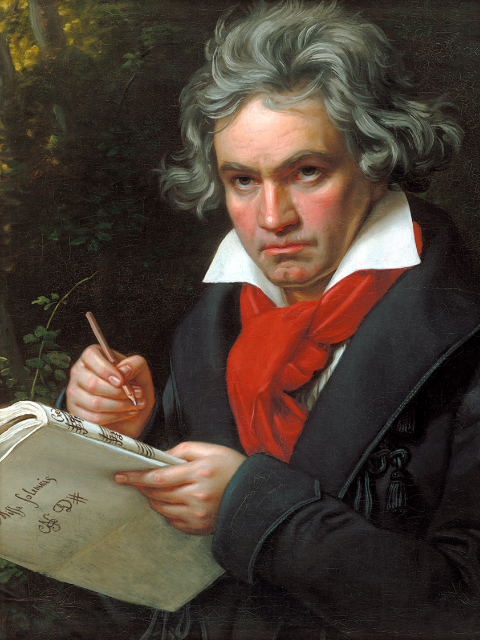 look inside The Five Piano Concertos Composed by Ludwig van Beethoven (1770-1827). Edited by Jonathan Del Mar. For piano, orchestra. This edition: Urtext edition. In a slipcase. Study score (in a slipcase). Published by Baerenreiter Verlag (BA.TP920). look inside Major Works For Orchestra Composed by Ludwig van Beethoven (1770-1827). For orchestra. CD Sheet Music (Version 1). Full Scores to all of the major works for orchestra by Beethoven - parts not included. Classical Period. All. CD Sheet Music. 1900 printable. Published by Theodore Presser Company (PR.816600010).